How to create that jaw-dropping "WOW" factor when friends and family see your space for the first time. Sandy's 10 "magic" design rules that make your space look like you spent a million bucks with a pro designer. The insider "secrets" to creating a fabulous room makeover, even if you're on a budget. Which of the 8 popular design influences fit your unique style best, so you can decorate with confidence. How your inspiration and vision come together to easily create an exciting design plan you can bring to life! Sandy’s quest to unmask the secrets of creating great design and sharing her process with others was the inspiration for this book. Through conversations with many clients and years of personal experience, she developed the 10 “Magic” Design Rules. Anyone following these easy to understand rules can learn to decorate their space with confidence. Sandy’s guidance will empower and awaken your decorating senses, leaving you excited to start your next project! As an award winning designer, Sandy's work has been featured in Orange Coast magazine. She started Re-Style Interiors in 2004, realizing a lifelong dream to express her creative talents and share those abilities with people every day. She transforms spaces by connecting with you on a creative level, reflecting your lifestyle and the inner you. Sandy is an intuitive designer with a keen eye for exceptional interiors. She approaches every project with a unique creative flair that echoes your design desires bringing your ideas to life. Find out more about Sandy's projects and how you can work with her here. Get Your 2 FREE GIFTS Here! Sandy does a great job helping the reader learn how to decorate their home effectively! 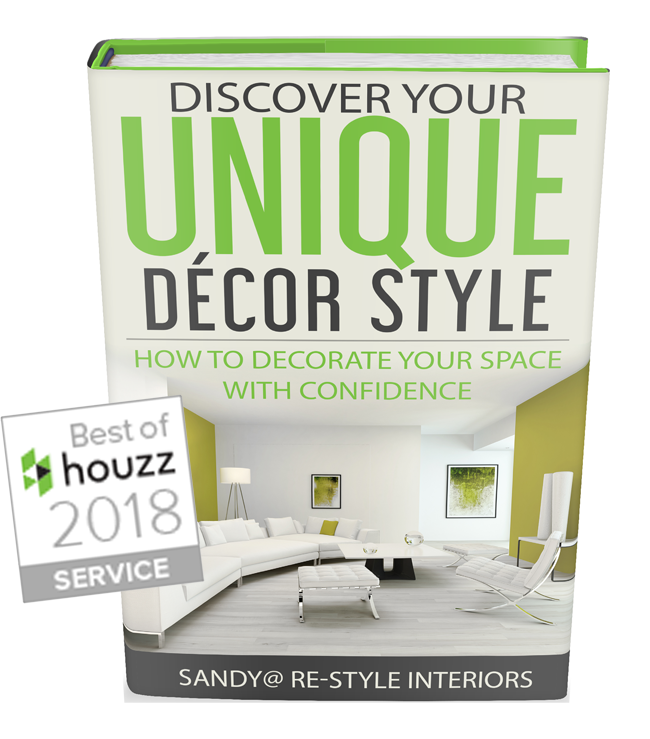 From discovering one's design preferences, to coming up with a decorating budget, to furniture placement and more, this book provides useful information and design tips that will help most anyone achieve the look they want! Excited to redecorate but not sure where to begin? Sandy's guide will walk you step by step through identifying your best style choices and create a space that looks as good as it feels. Highly recommended! Sandy was an absolute pleasure to work with! She's very patient and understand what we wanted. Her visions and ideas were well communicated and consistent with what we wanted but couldn't articulate in words. We highly recommend Sandy for any interior design job! Copyright 2019 restyleinteriors.net. All right reserved.